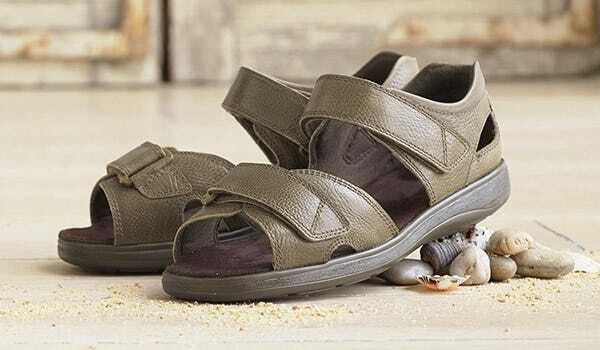 Designed to keep feet cool, comfy and supported, Cosyfeet’s wide fitting sandals are the perfect choice for swollen feet. Bingley for men has a closed back which offers good ankle support and has two adjustable straps which hold the foot securely in place. It also has a shock-absorbing insole for extra underfoot comfort. 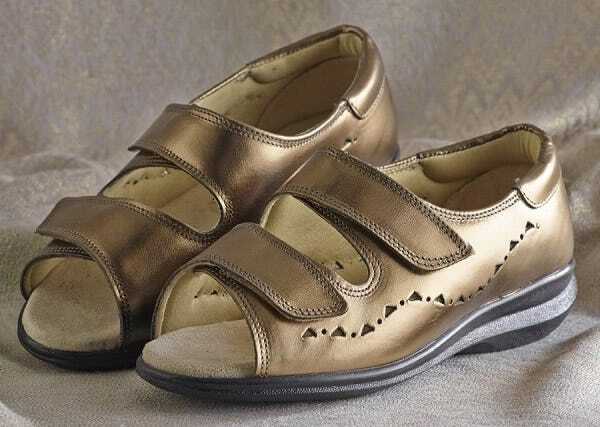 This smart leather sandal is available in Gaberdine, Black and Brown. Relax for women is ideal if you want the support and protection of a shoe but the coolness of a sandal. This flattering style opens completely with two touch-fastening straps that adjust to fit even very swollen or bandaged feet. Thanks to the super-soft leathers, underfoot cushioning and shock-absorbing soles, it’s also blissfully comfy. Relax is available in Bronze, Navy, Stone and Teal.